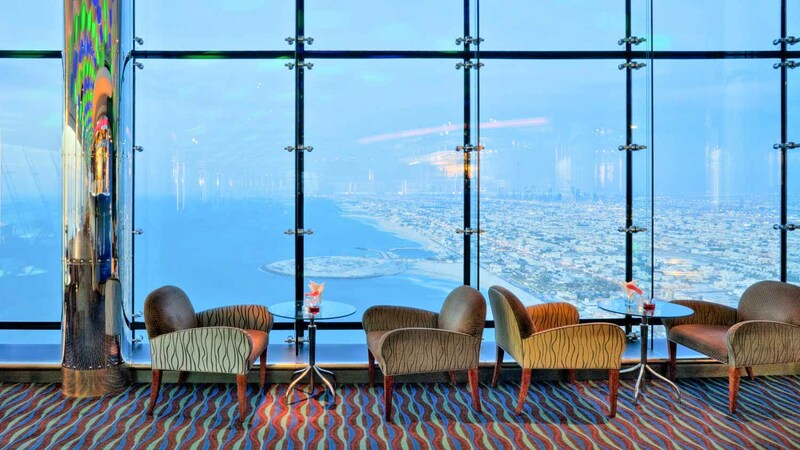 Enjoy spectacular views of the Arab Gulf during the daytime and a romantic, intimate dining experience at night at the tallest atrium in the world. 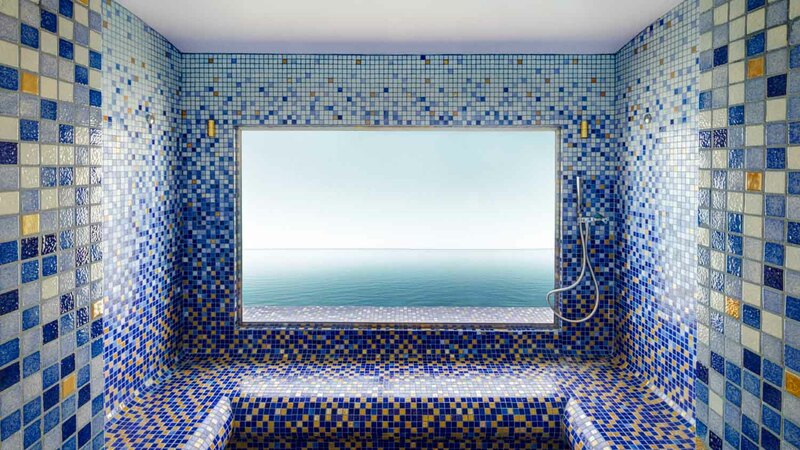 What's inside the Burj Al Arab? Standing at 321 meters, Dubai's striking Burj Al Arab is one of the tallest hotels on the planet, but height alone doesn't earn a seven-star reputation! What's inside the world's most luxurious hotel that makes it so special? 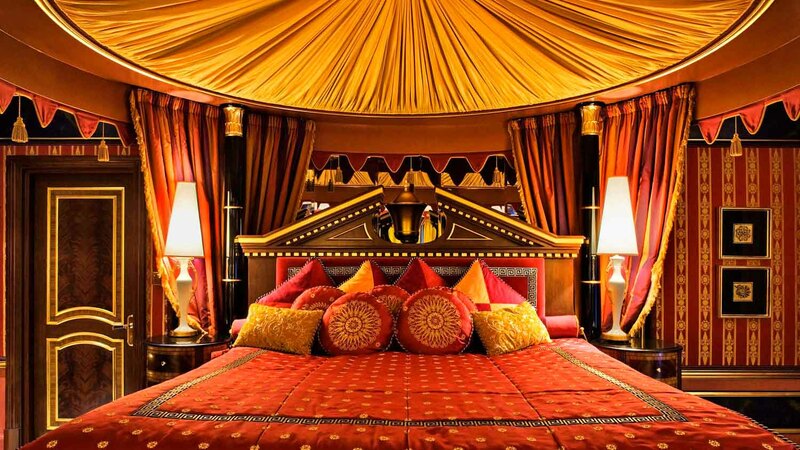 At $19,000 a night, the Royal Suite is the hotel's most expensive room! The two-storey suite has a brigade of butlers on call, as well as countless amenities. 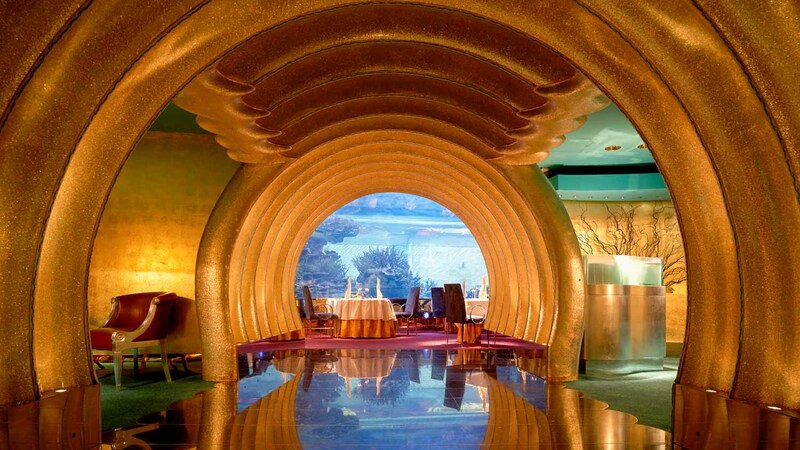 This hotel restaurant is accessed via a simulated submarine voyage. Inside is an aquarium so huge that the glass must be 18 centimeters thick to handle the pressure! OK, so this one's technically on, not in, the Burj Al Arab. As optional extras go, however, arriving by helicopter is definitely one of the most extravagant! Some hotel spas aren't much more than steam-proofed old storage closets. This one has a panoramic sauna 150 meters high, from which you can view the city through fog-proof glass! The Skyview Bar offers world-class cocktails, live music, and a decor that goads close conversation. 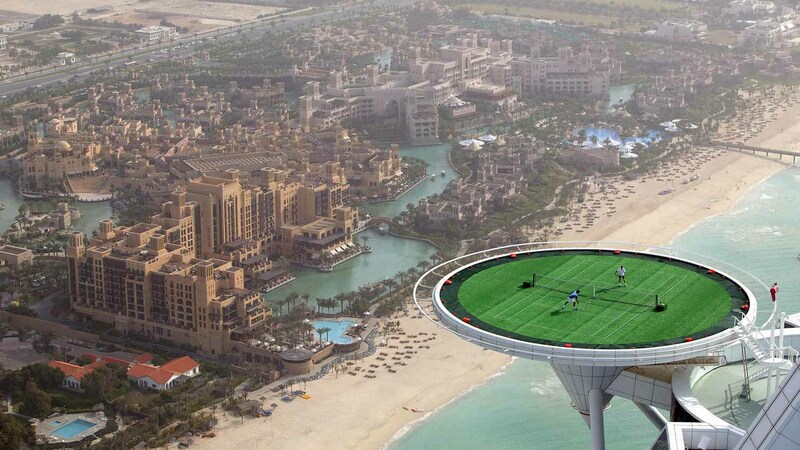 Oh yeah, and astonishing 200-meter-high views over the Gulf! The Burj Al Arab is located on an artificial island across a private bridge. The easiest and most affordable way to reach it is by taxi, but if you're feeling flash, call the hotel to book a Rolls Royce or helicopter pick-up! Unfortunately, it's not as easy as just showing up at the hotel and gawking. You won't even make it to the lobby without proof of a reservation (if not a room, then at least a restaurant meal or the hotel's famous afternoon tea). Access is also granted as part of some guided tours. How much is it a night? Of course, not every room is as expensive as the Royal Suite, but even the cheapest rooms will cost you at least $1,800! It's an astounding building from the outside, but it costs quite a bit to get in - best to check out the range of tours available. Not necessarily, but your visit needs to be booked in advance. The hotel sits on a little island off mainland Dubai. The nearest metro stop is Mall of the Emirates, then walk across the bridge. However, it is more direct to get a taxi. Dress nicely - this is one of the world's fanciest hotels. | You can only enter the Burj as a visitor (as opposed to a guest) if you have a reservation in a restaurant. There are a selection of packages offering this.